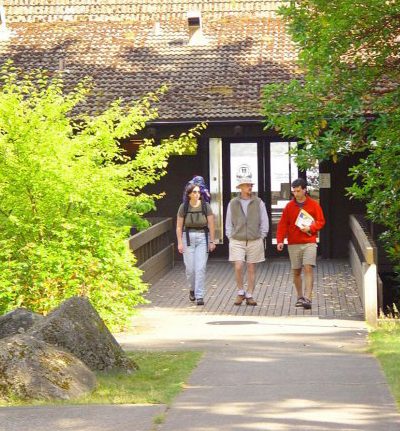 This policy applies to UW FHL and all UW owned properties under the management of FHL, including Cedar Rock Preserve, and is adopted in conformance with Washington Administrative Code 478-136. Weddings and other non-academic events require special permission of the Director of FHL. Non-academic events include weddings, social gatherings, and other types of events not directly related to a teaching, research or public service program of the University. Permission for non-academic events may be granted to current FHL students, faculty, researchers, and staff. Permission may also be granted to other applicants provided they have a sponsor who is FHL faculty, research or staff (students cannot sponsor). Permission is entirely at the discretion of the Director. The purpose of this policy is to ensure that all University facilities are reserved primarily for educational use including, but not limited to, instruction, research, public assembly, student activities, and recreational activities related to educational use. Educational use takes priority over non-academic events. Alcohol may be served at events upon receipt of a Washington State banquet permit. After receipt of authorization from UW, the applicant must purchase the banquet permit through the State of Washington, form can be found here. To request permission to hold a non-academic event at FHL or Cedar Rock Preserve, please submit a conference application found on the FHL website. Applications are accepted no more than one year prior to the requested date. If the applicant is not a current FHL student, faculty, research or staff, a Use of University Facilities Request Form must be completed in addition to the conference application. This also requires an appropriate FHL sponsor. The UUF Request Form can be found here. Fees for non-academic events at FHL are based on conference rates as set forth on the FHL website. Fees for non-academic events and beach house rental at Cedar Rock Preserve are available by request.